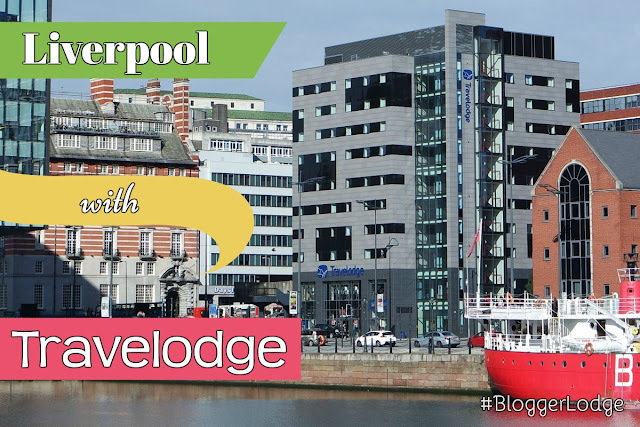 #BloggerLodge in Liverpool | gingerbread smiles. I love to travel. Just packing up your bag, hoping on a train and having an adventure in somewhere new. When I had the opportunity to go to Liverpool I jumped at it! It’s always been one of those places that isn’t amazingly fancy but I’ve always wanted to go. I picked the weekend of Matt’s birthday, booked the trains and we were ready to go! Travelodge kindly provided the accommodation which was in a perfect location. We stayed in the Liverpool Central The Strand Travelodge which was a bit of a walk from Liverpool Lime St station (approx. 10 minutes) but I’m glad it was. It was away from the hustle and bustle of town and Liverpool One facing out onto Albert Dock which provided beautiful views. As soon as we arrived we dropped our bags (our room wasn’t ready but Travelodge kindly kept them safe whilst we went out) and went for a wander around the dock area. As avid maritime fans, both myself and Matthew work at a Port, we were excited to have a nosy around. I absolutely love how they’ve revamped the old docklands and made them into buildings that have been re-purposed into restaurants, shops and museums. When our little legs couldn’t walk anymore we ventured back to the Travelodge. Although on a main road there wasn’t much noticeable noise, I may add we were on the top floor so it may be louder lower down. The room was reasonably sized and it felt super comfy. There were a few little sticking points but I think for a budget hotel you get over these pretty quickly. We had a wonderful sleep in the new style beds and woke up ready to have a big breakfast. We went down pretty late to breakfast but the full spread was still available. I had a full plate with toast, hash browns, sausages, beans, tomatoes and mushrooms! It was lovely. I also had a cup of Typhoo tea, it was nice but it’s no Yorkshire tea! I really enjoyed our trip to Liverpool and the hotel played a big part. It was in a perfect location, over the road from Albert Dock, down the road from the Liver building in one direction and Liverpool One in the other. If you are looking for somewhere to stay in Liverpool I’d definitely recommend Travelodge Liverpool Central The Strand! I've got some Liverpool foodie posts coming up so watch out for them!